Check all emails for authenticity. Most legitimate emails will identify you by name and not “Dear Customer.” Review the sender’s email address to ensure you are receiving an email from a credible source. Additionally, check to see if all links and logos are correct and the content is accurate. Research company reviews. Before conducting a payment or transaction with a new company, it is a good idea to perform an online search for the company. Simply type in the name of the business and read reviews from prior customers to determine how reliable their reputation is. Be cautious of emails from any payment platforms. 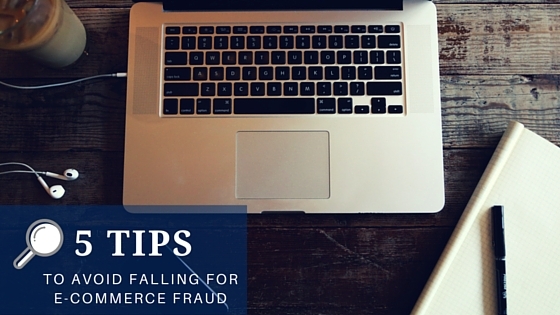 One of the most popular e-commerce scams is an interested buyer who lives overseas and is willing to send payment via a credible payment platform. This is one way for scammers to send you a fraudulent email posing as an official letter from the payment service. Call the necessary company to see whether they have records of your transaction before sending over any personal information. Go through safe (HTTPS) websites. Secure websites oftentimes include “https://” in the beginning of their URL. If this shows in the link’s location, then the transaction and platform should be safe to pursue. Listen to your gut. Pay attention to your instincts. Don’t trust any suspicious activity or emails. If it doesn’t seem authentic, immediately contact customer service or ditch the transaction entirely. Remember, it’s always better to be safe than sorry.